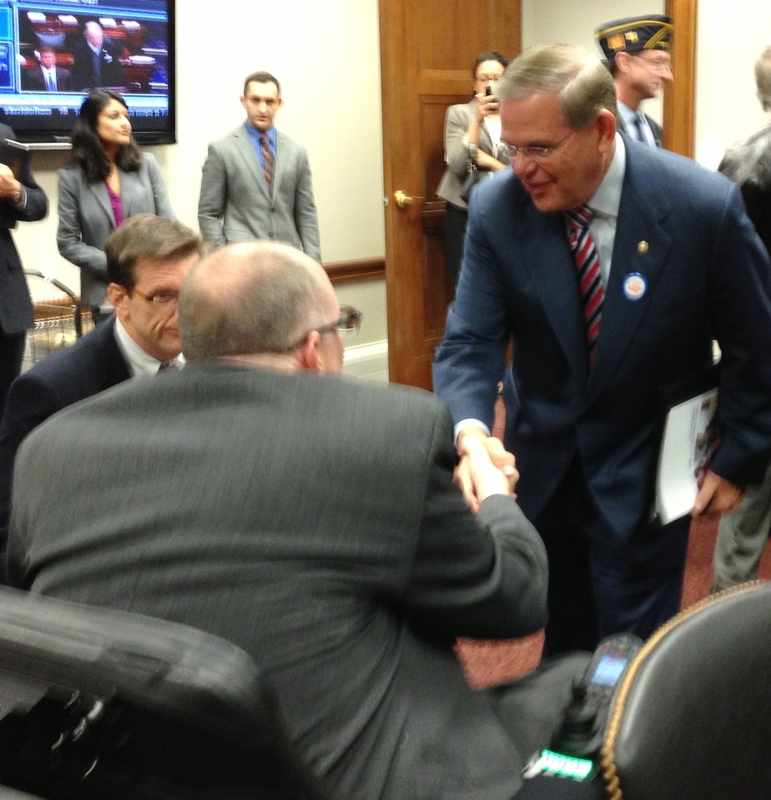 VetsFirst and 14 fellow veterans service organizations supporting the Disabilities Treaty were recognized by the Chairman of the Senate Foreign Relations Committee, Senator Robert Menendez (D-NJ), during a hearing on November 21 on the treaty. In the Chairman’s opening remarks, he discussed the large community of veteran support, which is evident through the 15 letters of support on file with the Committee on behalf of the 5.5 million disabled veterans in the United States. In this second hearing on the treaty, Secretary of State John Kerry testified that the treaty would not require any funding or legal changes to our laws and that Americans stood to gain from ratifying it. Following Secretary Kerry’s testimony, a second panel included testimony from the business community and legal experts. Committee members asked questions relating to the impact on American businesses abroad and legal mechanisms that would ensure the United States does not have to make conforming changes to our laws should the treaty be ratified. The business community witness from IBM explained the benefit of opening markets overseas for products such as assistive devices for persons with disabilities. The legal panel answered questions relating to our nation’s sovereignty and we believe ultimately showed that the treaty could be ratified in a way that would ensure appropriate legal safeguards for these concerns. Following the hearing, VetsFirst staff, including United Spinal Association President and CEO Paul Tobin, participated in a private meeting with Chairman Menendez where he lauded veteran support for the treaty and informed participants that he will continue to encourage Senate ratification.